We have played with many hardware add-ons for our iPads since it was introduced. Some great ideas turned out to be difficult to use while other simple creations we use every day. Some fill a need at the office but get little use at home and a few the other way too. 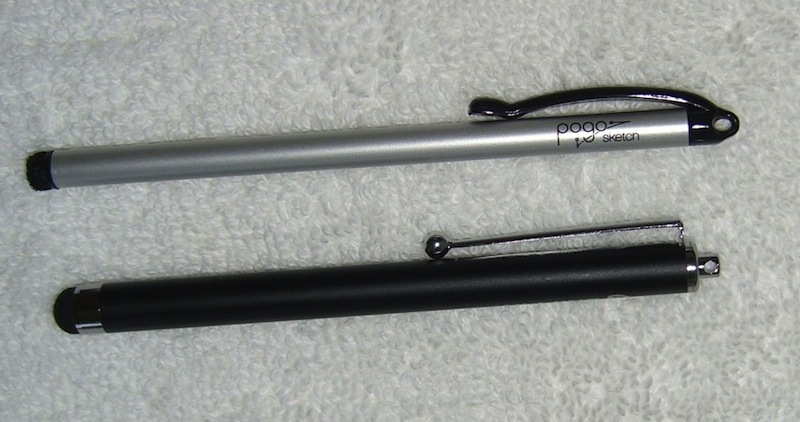 Ten One Design’s Pogo Sketch Stylus Pen – thin, simple, includes a pocket clip. The fine tip, even if it looks like woven plastic, works great for fine detail. 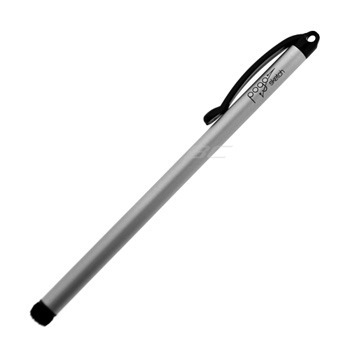 Griffin Stylus – Regular size around as a pen with a pocket clip and a silk like soft tip. The larger round stylus tip glides smoothly and is less prone to bending under pressure when writing than most on the market. 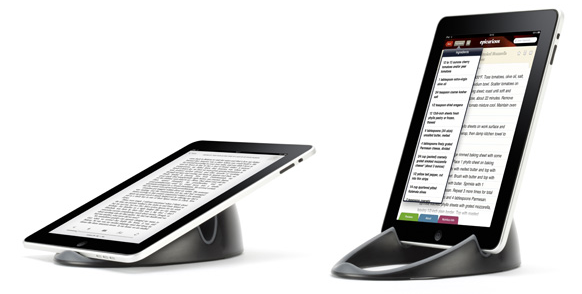 Stands play an important role in the day-to-day usage of the iPad. The size and feel of the iPad makes it very easy to use when sitting or walking. 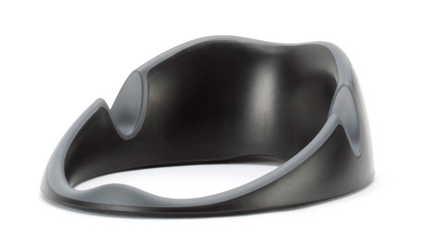 But, when in the kitchen or at your desk… or typing on it in a meeting, a stand will be the third hand you really need. The Loop is a nice stand from Griffin. Is sits solid and requires no adjustments to go from two angles of tip on the iPad or when moving from Landscape view to Portrait view. Since the stand is a set size, it means you are always going to be using up that much area where you sit it but that can also be nice when buzzing about the house or in your office to be able to just sit you iPad in without the need to adjust or move anything. 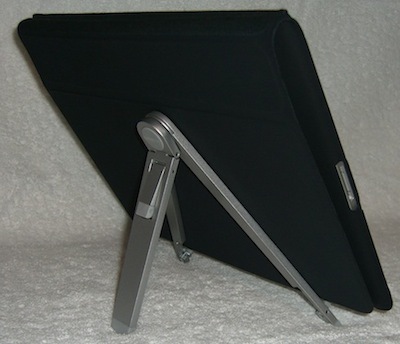 A more portable solution we use when on the road or even around the office is snazy fold up stand from TwelveSouth. We call it the Compass since when it is open it looks like a three legged drawing compass. The stand is quite impressive in it’s manufacturing with solid firm joints and heavy feeling legs. 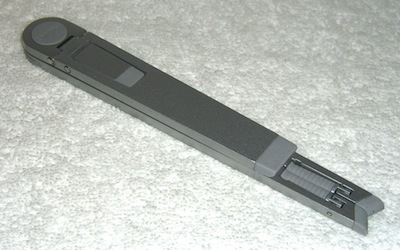 Rubber is used in key points where the iPad will rest. Works well for high angle viewing and reading as well low angle for typing.